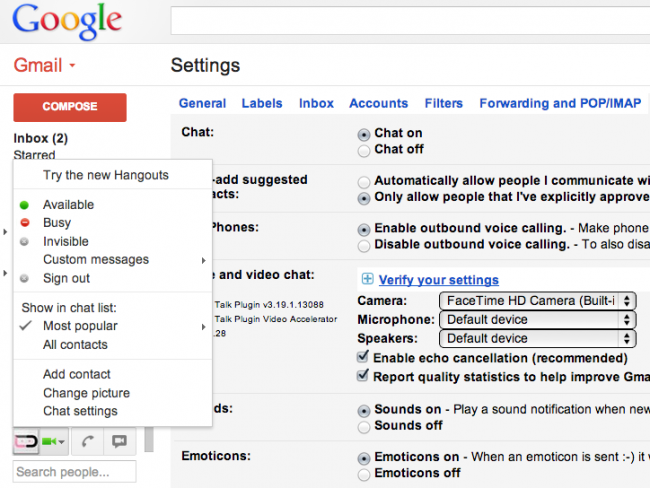 Google mentioned during its unveiling of Hangouts that it would gradually rollout to Gmail over the coming weeks, but if you’d like to turn it on immediately, you can do that today. 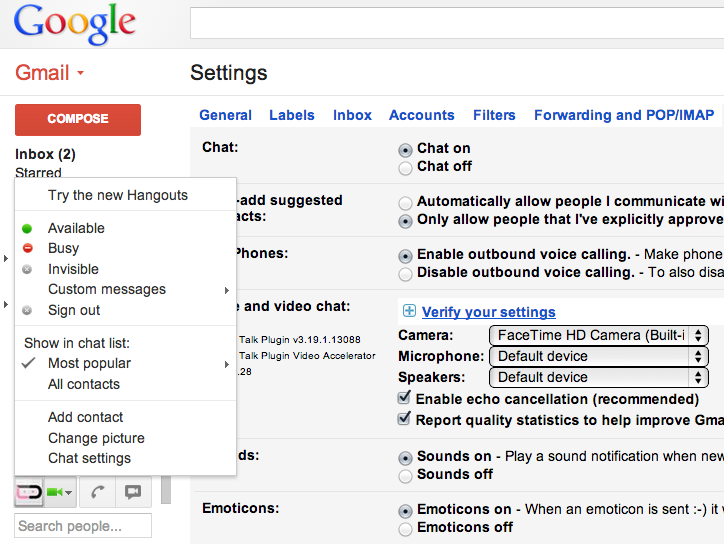 All you need to do is sign-in to your Gmail account, login to Google Talk in the left sidebar, click on the image associated with your Talk account, and then tap the “Try the new Hangouts” option that appears at the top of the list. *Note – This trick does not seem to be working in Google Apps accounts, online Gmail.